I have to admit, upon signing up for this trek, I didn't have many expectations - other than that day two was going to be very, very painful. But from the moment we got picked up from our hostel and our guide, Paul, cracked his first joke, I knew I was in for a good time. From the first day this trip was amazing, the tour company explained everything in detail in advance. Food was top notch and vegetarians were catered for. 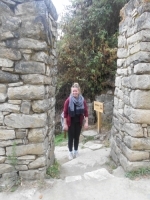 For as long as I can remember, I have dreamed of experiencing the Inca Trail, and my adventure definitely met my expectations. The days were long and tiring, but walking along the sacred trail as the clouds clung to the mountains was worth every second. 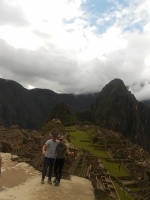 I've just come back from an epic 4 day adventure on the Inca Trail. 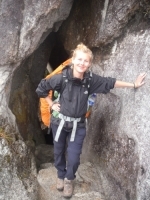 My parents had done the trek 25 years ago and really struggled, so I was a little apprehensive going into it. 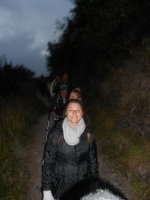 However I thoroughly enjoyed the walking and loved going at a fast pace. 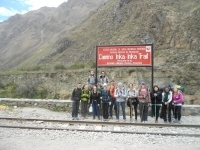 A great 4 days on the Inca Trail, tough but great! The food was excellent, the guide both funny and informative and the group was a good mix of age and ability. The first day was a nice "break-in" day with a few hours trekking, some stops at a couple of archaeological sites and a lovely lunch. Sin duda lo vivido en este tour serán experiencias para recordar toda la vida. 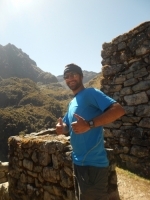 Well I have wanted to do the Inca Trail for many years and whilst it was one of the toughest things I have had to go through, the pain and the vertigo were a lot to cope with but our guide Manny, helped us get through to the end. Leaving me feeling a huge sense of achievement. 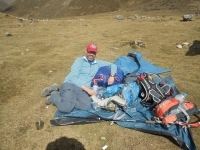 After not knowing at all what to expect about the Inca Trail or the company we booked with, I couldn't asked for anything more. Everything from our group size to the food we were given was perfect. 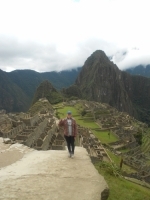 I decided to hike the Inca Trail with a friend. 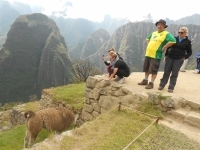 Another friend recommended Inca Trail Reservations because she and her husband had a great experience. 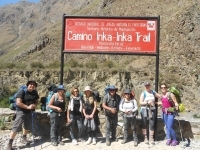 Inca Trail Reservations staff was professional and friendly at every point. Mariella was extremely helpful with making reservations. 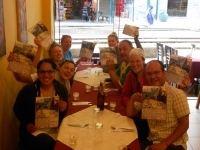 This trip with Inca Trail Reservations has been absolutely fantastic! We were informed about the trip incredibly well and had a guide emailing us regularly with any updates and just to check we were happy. First day was awesome! I felt strong, I felt unstoppable! But Pachamama had something to say about that... the second day I was humbled by altitude sickness. At the top of the pass, the highest point of the trail, I began to feel nauseated and definitely no longer strong or unstoppable. Lo mas maravilloso que he visto en mi vida. El Camino del Inca es una experiencia enriquecedora para cualquier persona experimentada o no. El reto es difícil se requiere resistencia física, pero mas que nada una actitud positiva y perseverancia. Como recompensa, la satisfacción de completar el Camino del Inca y disfrutar una de las siete maravillas del mundo. The trek to Machu Picchu was incredible! I was completely mesmerized with Peru! It was my first time to the country. 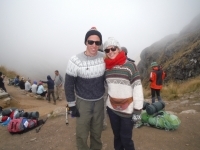 I fell in love with the Andes and the people in Peru.